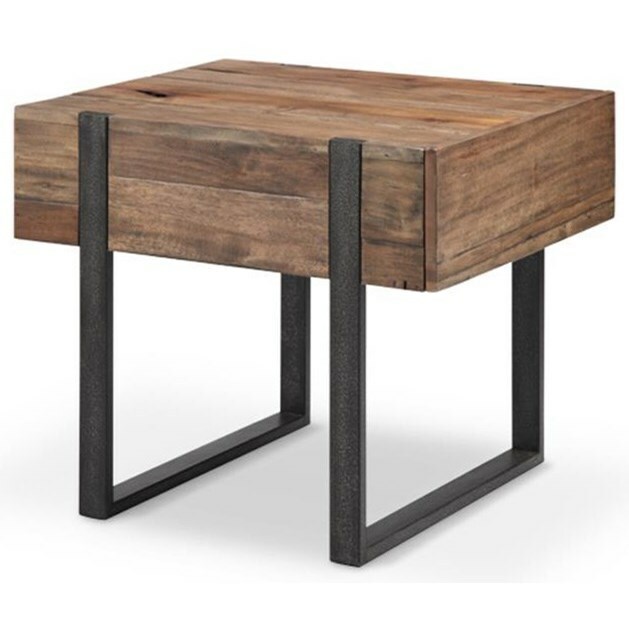 This accommodating end table presents a wonderful addition to your living room space. 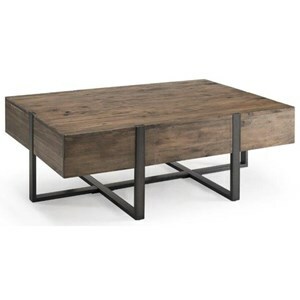 Resting on uniquely-styled metal legs, the table is crafted from wood and features one drawer. 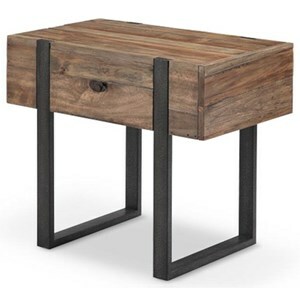 Completed with a rustic honey finish, this transitional end table blends industrial and rustic style elements. The Prescott T4344 Rectangular End Table with Drawer by Belfort Select at Belfort Furniture in the Washington DC, Northern Virginia, Maryland and Fairfax VA area. Product availability may vary. Contact us for the most current availability on this product. The Prescott T4344 collection is a great option if you are looking for Transitional furniture in the Washington DC, Northern Virginia, Maryland and Fairfax VA area. Browse other items in the Prescott T4344 collection from Belfort Furniture in the Washington DC, Northern Virginia, Maryland and Fairfax VA area.